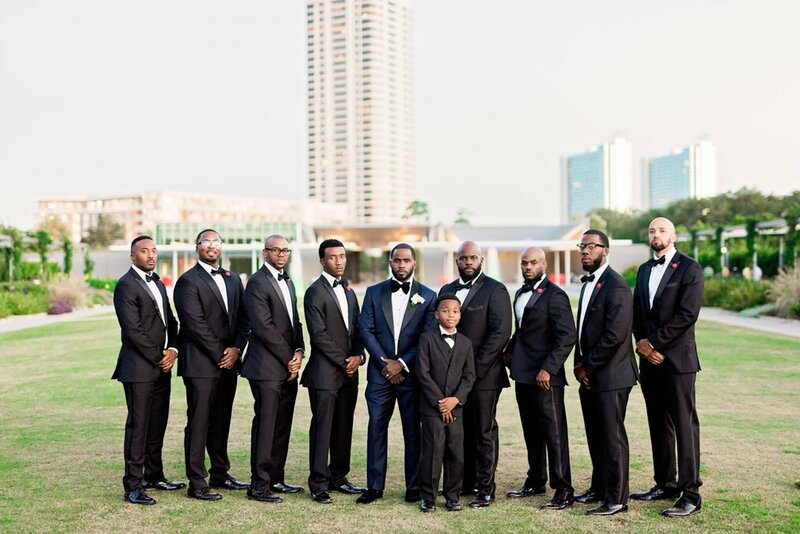 We are so thrilled to see Andre and Gina’s wedding featured again and this time on Black Southern Belle! 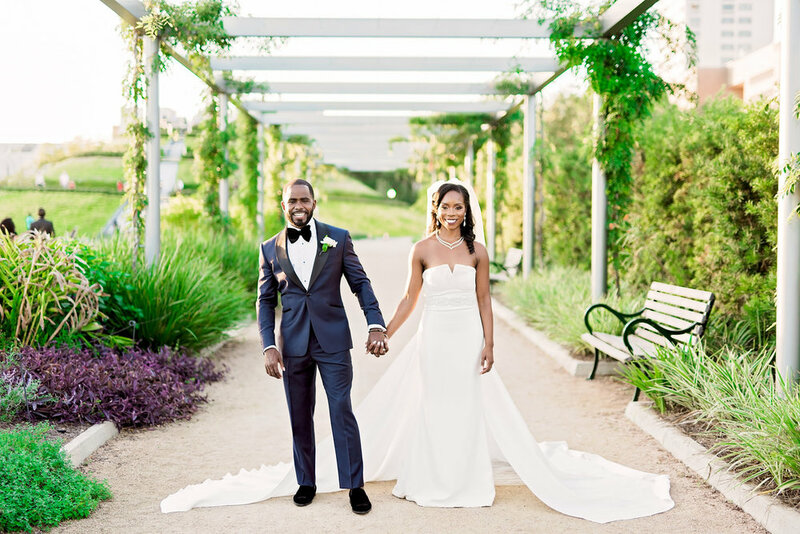 Their wedding was previously featured in The Knot Texas Winter ‘17 print issue. Andre and Gina’s Wedding was absolutely beautiful so we are pleased to see others feel the same way! Continue scrolling to see some highlights as well as their love story, wedding style, memories and advice via our stunning bride, Gina. Click here for the full feature. We met at a networking event at the valet stand. I was with my line sister, and another friend and I noticed an attractive guy standing at valet, checking me out. He was lucky, because he was standing in front of the valet sign, so I had to go there any way. He engaged me in small talk, and then I turned my attention to my other friend who was there with me. Much to my surprise, my line sister was talking to him during that time. My car finally arrived and he walked me to the car and informed me that my line sister, gave him my number (which she has never ever done) and told him I was an amazing person and he should call me. When he texted me that night and then called the next evening (Saturday) to ask me out later that week, I knew I needed to take a closer look at him, and I did….1.5 years later, my family had flown in from Chicago to celebrate Christmas with us and to meet Andre’s family. We were all at the dinner table on Christmas night, after we finished eating and started to exchange gifts. His mother brought out a Johnny Walker box and handed it to me. Andre is the whiskey lover and I felt the gift may be better for him, but I smiled and accepted it. Inside the box was a bottle of Veuve Clicquot which my friend gave me to save for a special occasion. We saved this bottle since the beginning of our relationship, because we never felt it was the right time to drink it. The note inside said “this is that special occasion…will you marry me?” It was very special because the proposal was in front of our entire family and no one other than my father knew he was going to propose. We both pledged. Gina-Delta Sigma Theta and Andre-Alpha Phi Alpha. Therefore, at the reception the deltas sang the sweetheart song followed by alphas singing to me, the bride. Do what makes you happy at your wedding. Spend money on parts of the wedding that’s important to you and save on the other areas. In Andre’s words: give her whatever she wants!